The Jamaican Princess is a 32 Blackfin, Flybridge. 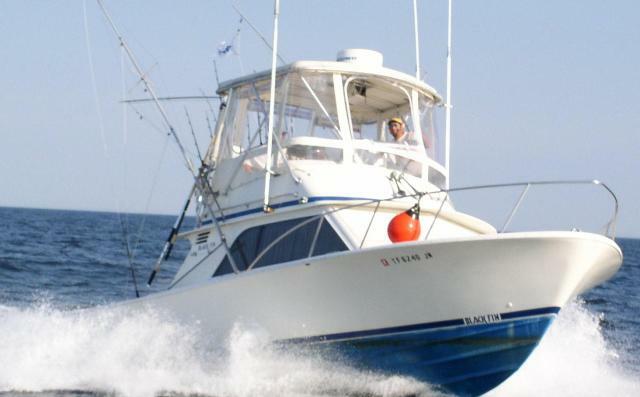 She is a serious sportfishing machine, with an 11 foot beam, a roomy cockpit and clean, well-cared-for equipment. 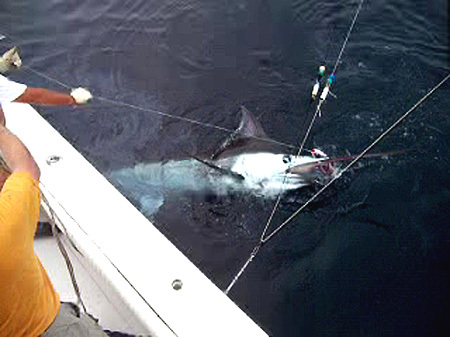 Powered by reliable twin turbo charged Volvo diesel engines and equipped with high tech electronics for maximum safety and successful fish-finding, she is a consistent fish raiser. Whether you are an experienced angler looking for a trophy fish or a beginner looking for a pleasurable experience, we will make your charter on the Jamaican Princess a rewarding event. Whatever your purpose, the courteous professional and experienced crew of the Jamaican Princess will get you there and back in safety, comfort and style. Booking a trip with us can be the perfect setting for entertaining special clients, company outings, or for hosting family and friends. We will do our utmost to customize each trip to suit your needs and make it feel like Caribbean Travel .